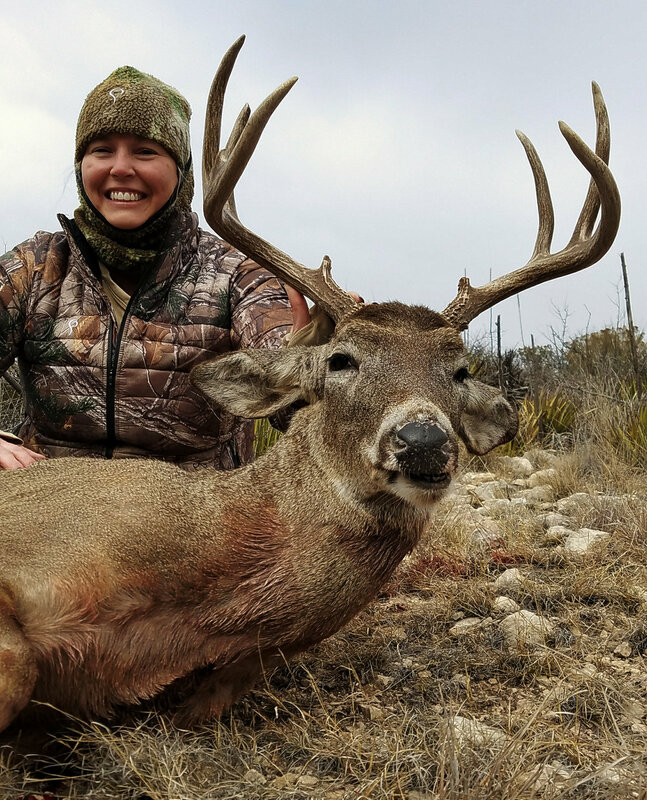 Stephanie Wottrich serves as ProStaff here at ReelCamo Girl and we ask that you show and share your support of her by voting and sharing her information on your page(s). THE EXTREME HUNTRESS™ COMPETITION IS ABOUT PRESERVING OUR OUTDOOR HERITAGE. OUR GOAL IS TO CREATE POSITIVE ROLE MODELS FOR WOMEN WHO WANT TO PARTICIPATE IN HUNTING. Voting is NOW OPEN and each of the top 20 are hoping to get enough votes to place them in the top 4 to move forward to competition. This competition helps spread awareness of ladies in hunting and the outdoor lifestyle. Go check them all out and cast your vote for your favorite Extreme Huntress! I have been hunting for 18 years. I began on deer leases and day leases for birds, and went on my first safari in 2002. Since then, I have hunted 14 countries on 5 continents and taken over 50 species, including multiples of many species, particularly whitetail deer. Hunting is what we do. I participate from the harvest, the processing, to the preparation and ultimate consumption. I primarily hunt with a rifle, and I also hunt with shotgun, handgun, and am working with crossbows and compound bows as well. Hunting is how we travel. It is my favorite thing to do, pitting myself against nature. Attempting to blend into my surroundings the best that I can, and outsmart the game. I enjoy every type of hunting, from bird to big game, although I will say that Africa has a huge piece of my heart. The culture, the diversity of game… I just love it. I have been on 8 safaris in 5 countries on the dark continent, and honestly, every time I leave, I am working a plan to get back. There is just something about the wilderness, the immense variety of species, and the inherent danger of the continent that really gets the blood flowing! I am also very passionate about educating others and working with our local conservation organizations to insure that our sport, our legacy lives on beyond my time here on earth. It is so important to me. So long as we have hunters, we will have animals, and wild spaces to roam. I believe myself to be an Extreme Huntress because hunting IS my ultimate passion. I will push myself to my very limits to pursue the game I am after. I work hard to improve my skills so that I always feel confident that I have been able to properly identify the proper animals to take, and to take them as quickly and painlessly as possible. All of these qualities together, to me, define what being a hunter is all about. President of the Austin chapter of SCI.